Impact! is our ministry activation training school here at GateWay City Church. We want to train you to do the work of ministry (Ephesians 4:11-13) by equipping you with knowledge of the Word and practical experience in ministry skills such as prophecy, prayer, spiritual warfare, healing, preaching and teaching, and biblical counseling. We want to teach you how to be a disciple and how to make disciples. Classes are held one night a week on Tuesday from 6:45-9:00pm. Classes for the 2018-19 year will begin Tuesday, September 11, 2018. Registration is August 28, 2018 at 7:00pm in the Multipurpose Room. 5. Help you live like Jesus in the real world. So how does Impact! work? At Impact you can sign up for as many or as few classes as you want and you can jump in any time during the year – commitment is per class. Each class runs for 6 weeks. You can complete the requirements for ministry certification in our ministry development pipelines and we also have one and two-year certificate programs. We are currently in the process of developing Impact Online and hope to roll it out in 2019. 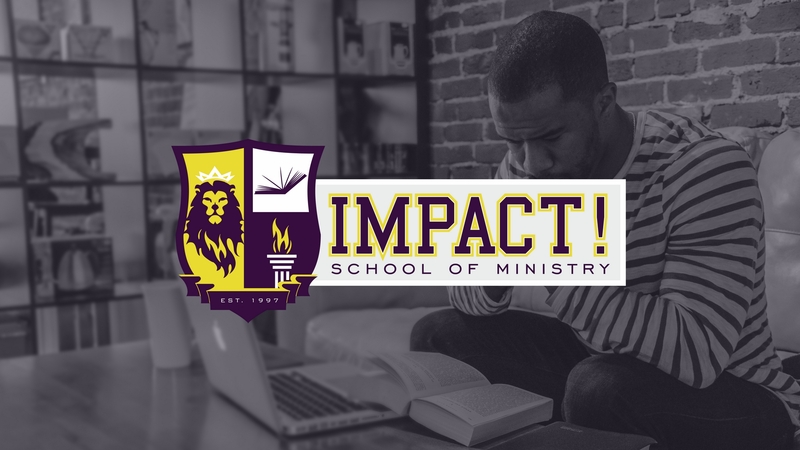 While Impact itself is not accredited, the classes you take count as credit towards a degree from Northern California Bible College. For Detailed Course Descriptions Click Here. Want to make an Impact Book or Graduation payment? Click Here.